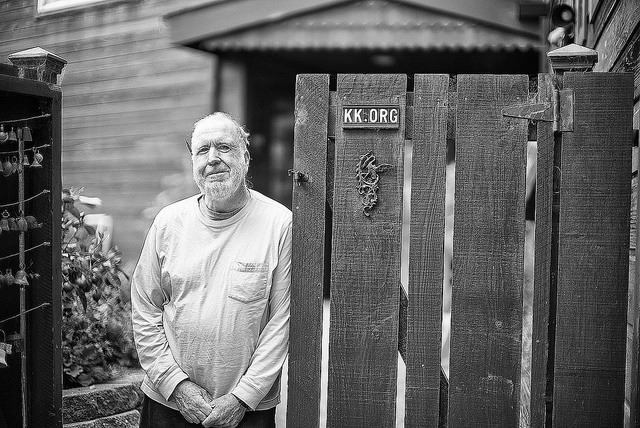 On Wednesday, November 12th, Kevin Kelly, a founding Board member of Long Now, will speak on “Technium Unbound,” as part of our monthly Seminars About Long-term Thinking. Each month the Seminar Primer gives you some background about the speaker, including links to learn even more. “Instead of going to university, I went to Asia. 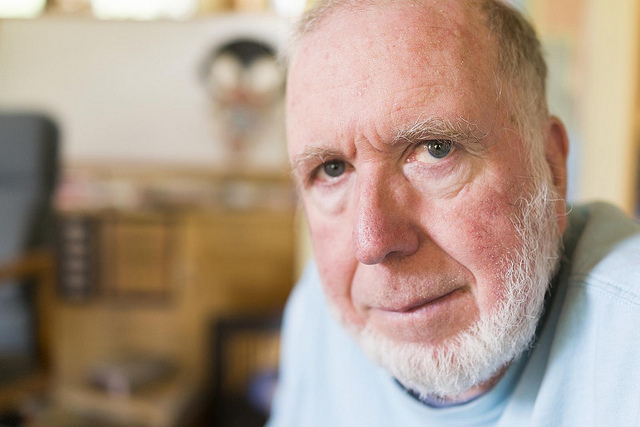 That was one of the best decisions I ever made,” says Kevin Kelly about following his instincts into the Big Here in the early 01970s. For someone who is probably best known as a technology pundit, it may be surprising to learn that his formative years were spent traveling in areas where his 35mm camera was often the most advanced technology for miles. But Kevin’s work has always been about cultures as well as technologies. His career as a writer, editor and publisher has coincided with a time of unprecedented technological growth. And Kevin has been associated with many ground-breaking publications and organizations in that time. 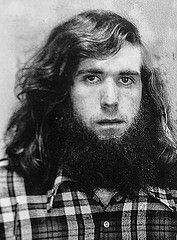 In 01984 he moved to California to edit CoEvolution Quarterly, which Stewart Brand had founded as a spin-off of the Whole Earth Catalog. The Quarterly soon was renamed as Whole Earth Review and Kevin served as its editor for the next 6 years. 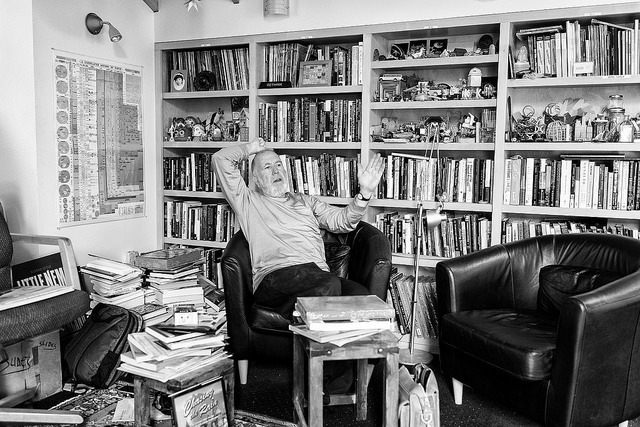 He also edited and published the Whole Earth Catalog for several of its later editions. During that period Kevin also had a hand in founding The WELL, the influential early online community co-founded by Larry Brilliant and Stewart Brand, and the Hackers Conference. In the mid-90’s he again collaborated with Stewart and became a charter board member of The Long Now Foundation. In 01992 Kevin joined Wired magazine prior to its launch and became its Executive Editor for the first 7 years of its existence. Wired won two National Magazine Awards during his tenure. He is still on staff at Wired as “Senior Maverick” and writes a few times a year for the magazine. But let’s get back to Asia in 1972. Kevin, then in his early twenties, dropped out after one year of college and set off camera-in-hand to wander throughout Afghanistan, Iran, Indonesia, China, Turkey, Japan, and everywhere in between. 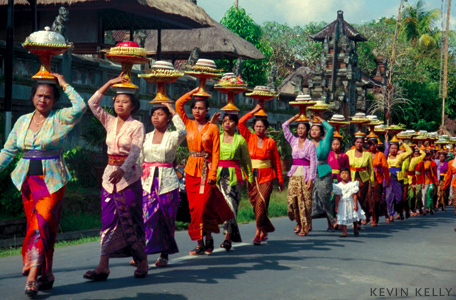 He had a drive to document aspects of these cultures that even then it was apparent were beginning to disappear. He lived on about $2,500 a year and shot 36,000 images during that time. I traveled solo most of the time I was shooting. I had lots of time and no money. I generally spent at least 2 months in a country; some like India and Taiwan I visited many times. I would be gone for years at a stretch. I would leave the US with 500 rolls of film in my backpack. 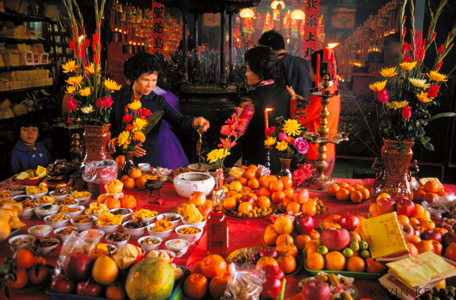 Years later Kevin created the book Asia Grace (Taschen, 02002) featuring hundreds of these photos. For which he did the layout and design himself. Now you’ll find many of those images on Kevin’s website for Asia Grace, continuing his tendency to make the books he sells in stores available for free online. You’ll find the full text for his books Out of Control and New Rules for the New Economy on Kevin’s KK.org site. Of the cost of buying one of his books, versus reading it page-by-page online, Kevin suggests: Think of this as a printing service, not a book. Listing the equipment and methods he used is far from an afterthought. Kevin is always looking for reliable and innovative tools, and he likes to share what he finds. In 02000 he started an email list to post tool recommendations for his friends. That grew into the Cool Tools website, a public resource that continues to thrive. Last year Kevin self-published Cool Tools: A Catalog of Possibilities as a book; it includes info on more than a thousand recommended tools from the site, all submitted by users. A cool tool can be any book, gadget, software, video, map, hardware, material, or website that is tried and true. The technium is the sphere of visible technology and intangible organizations that form what we think of as modern culture. It is the current accumulation of all that humans have created. For the last 1,000 years, this techosphere has grown about 1.5% per year. It marks the difference between our lives now, verses 10,000 years ago. Our society is as dependent on this technological system as nature itself. Yet, like all systems it has its own agenda. Like all organisms the technium also wants. In an interview earlier this year with Edge.org, Kevin said: I look at the network of all the technology in the world, past and present, as forming a system that seems to have its own urges and tendencies. Kevin has named his KK.org technology blog The Technium which points to both the importance and ubiquity he attributes to the idea. Kevin has become one of our most insightful thinkers about technology. A recent New York Times profile called his technology-related predictions “often both grandiose and correct.” His writing helps us understand not only the bits and bolts of tech, but how technology and humanity interweave: like his famous idea of 1000 True Fans or his ground-breaking work in self-tracking and the Quantified Self. In 02011 Kevin identified six verbs that would characterize the online future; it’s three years in, see how you think he did. On Wednesday, November 12th, 02014 we’ll all have the chance to hear from Kevin what the technium wants next: “Technium Unbound” his Seminar About Long-term Thinking for Long Now at the SFJAZZ Center.